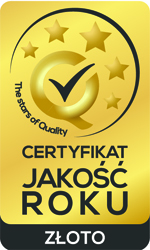 According to the principle of “practice makes perfect” we constantly work to achieve perfection. 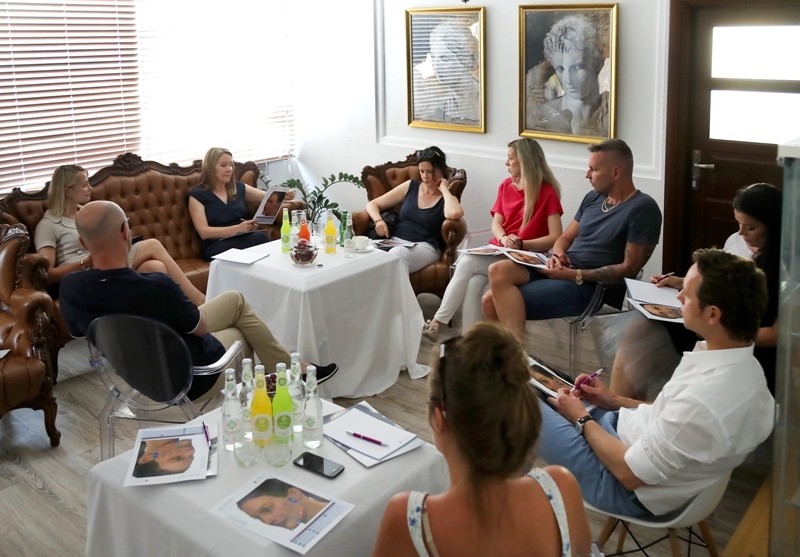 In June, our clinic together with Allergan – the leader of pharmaceutical companies with a global reach – organized the latest training for medicine specialists dedicated to aesthetic medicine treatments. 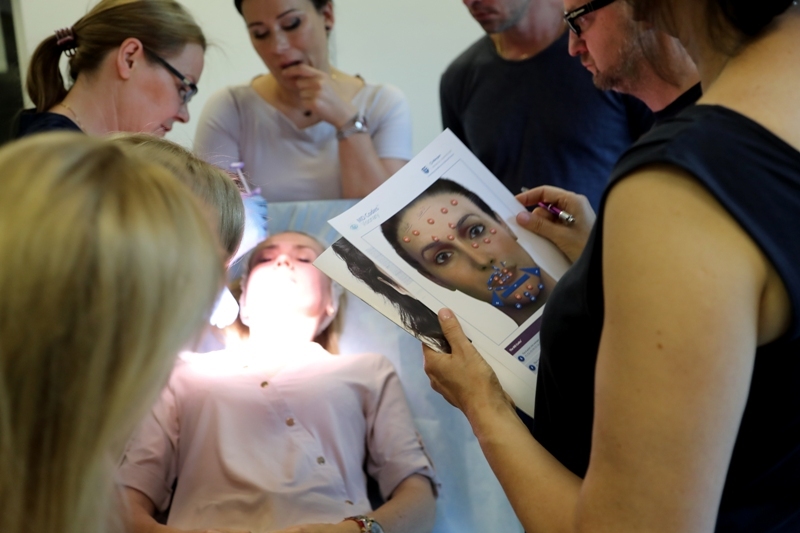 The workshop was attended not only by doctors from our clinic (M.D.-Ph.D. Fabian Urban, M.D.-Ph.D. Maciej Józefowicz and M.D. Justyna Mateńczuk), but also by the invited guests from the entire region. During the training, the specialists had an excellent opportunity to exchange their own experience and gain knowledge about the latest techniques of administration preparations based on hyaluronic acid and botulinum toxin, which Dr. Mauricio de Maio presented during the Allergan symposium in autumn 2017. 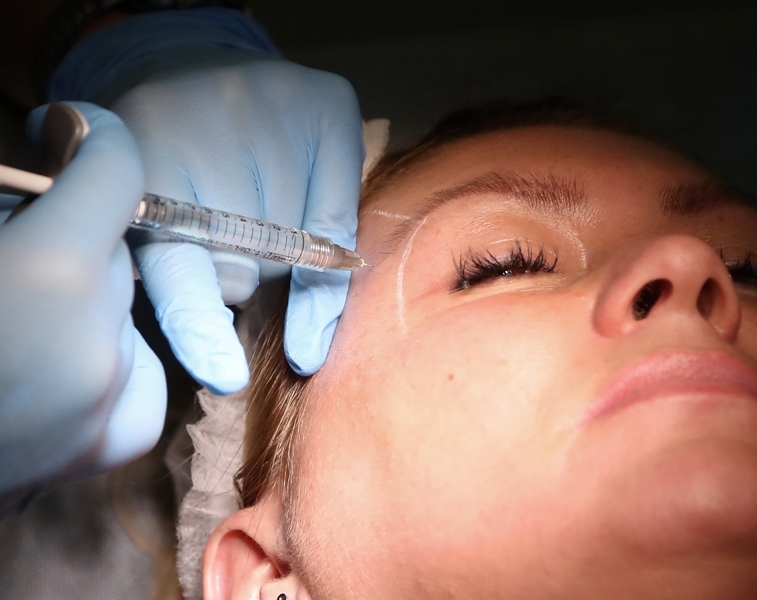 This innovative method of hyaluronic acid supply – MD Codes – developed by Dr. de Maio, who is an undisputed authority in the field of aesthetic medicine, is focused on facial anatomy and its proportions. Thanks to the holistic approach to rejuvenation, the preparations are not used temporarily to get rid of a specific problem like for example nasolabial folds, but they provide a general, natural rejuvenating ouctome without the artificial volume effect. 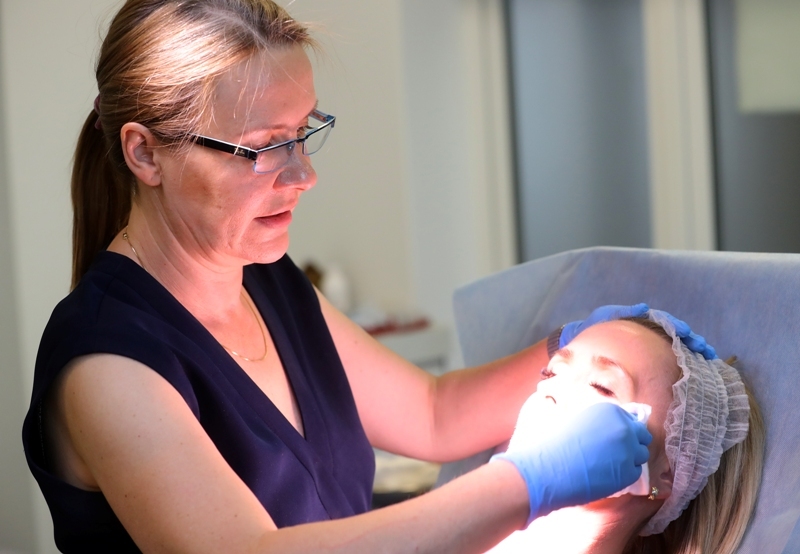 This year’s workshop was hosted by Dr. Magdalena Dembińska, certified trainer of Allergan. These products stand out from the competition thanks to the innovative VYCROSS technology – the latest generation of hyaluronic acid. Thanks to this technology these specific preparations are more plastic, provide much longer outcome and less (if any) edema. The use and methods of injection of botulinum toxin were also discussed in order to obtain natural treatment effects. Of course, the training would never take place without our great models. At this point, we would like to thank the six wonderful women who brought the great enthusiasm to our project. Invited ladies presented very different types of beauty and maturity of the skin. Certainly the treatments were a stressful experience for our models, but they handle it with the great dignity. Throughout this many hours of training, they were in excellent moods, thanks to which we had the opportunity to work in a great atmosphere of creative work.